Add a little flavor to your next event with some old school hip-hop royalty. Doug E. Fresh is considered one of the best beat boxers of all time. He is known to create an extraordinary palette of rhythmic and musical noises from his mouth. Not only does he use a talent not performed much today, he also knows how to command a stage and interact with his audience – something that doesn’t hold much currency in today’s hip-hop world. Take his performance one step further at your party and add his pal Slick Rick. Rick is another old school hip-hop favorite, best known for telling stories and playing different characters in his raps. 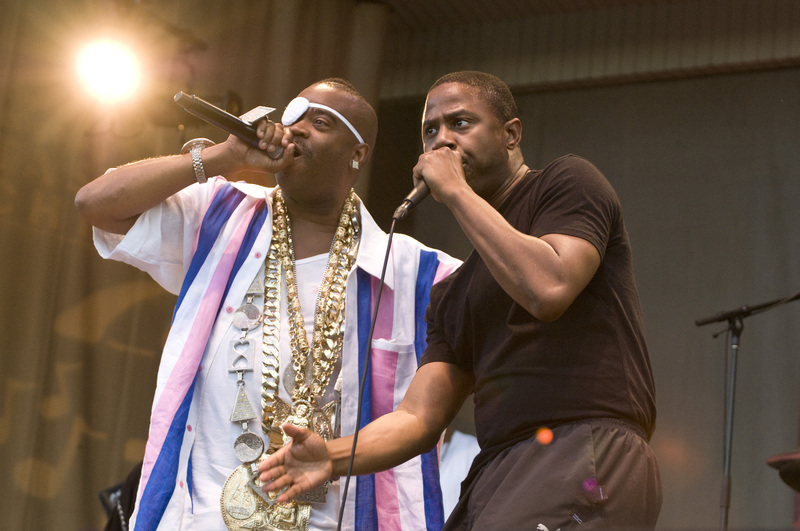 Together Slick Rick and Doug E. Fresh duel it out on the microphone and routinely energize the crowd with their 1985 hit “The Show (La Di Da Di)” and many more. We warn you…Doug and Rick will have you dancing all night to your old school favorites!